So, you've decided that it is time to get new wheels for your skateboard and now you have to figure out what kind. When shopping for skate wheels Australia wide you will notice that skate wheels can vary in colour, size, and durability. The type of wheel you choose can impact your ride in various ways, including the way you feel your board, your speed, and your ability to control your movements. Simply said wheel choice is a big factor in the resulting skate set-up, so use this guide to help you select the best wheels for you. The wheel diameter is measured in millimeters (mm) and the lower the number, the smaller the wheel. According to skate wheels Australia experts, most wheels available on the market range from 50-75mm. Smaller wheels allow a slower ride while larger wheels allow a faster one. The diameter of the wheel can also affect how quickly you accelerate and how tightly you can turn. For doing technical tricks on a shortboard, smaller wheels are the best choice. 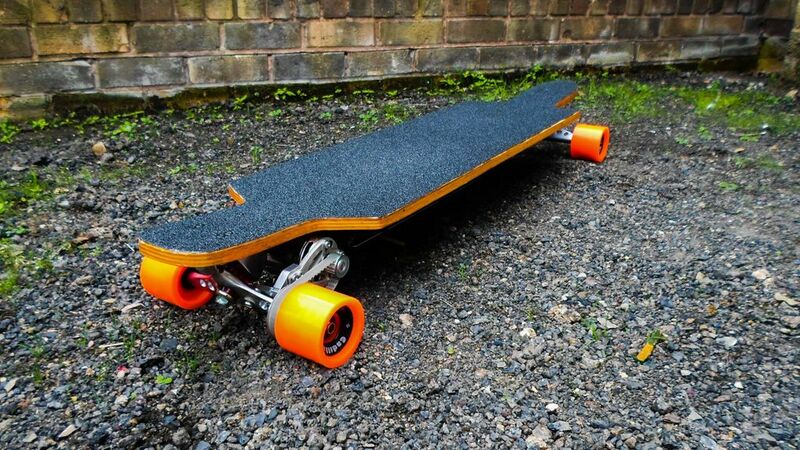 For longboards and cruisers, larger wheels will provide you the balance and speed you need. Small and slower wheels stable for trick riding and smaller riders skating skate parks, street, and bowls. Average wheel size recommended for beginners and bigger riders skating skate parks, street and vert ramps. Made for speed and rougher surfaces these wheels are recommended for specialty riders skating old-school board, longboards, downhill and dirt boards. Durometer is a scale that determines the wheel's hardness. The higher the number, the harder the wheel will be. Some manufacturers will use the Durometer A Scale which is a 100-point scale, while others may use the Durometer B Scale that allows an extra 20 points for harder wheels. So, if you see a wheel with an 80b durometer, it will be the same hardness as a 100a durometer. As a rule of thumb, harder wheels are faster, and softer wheels are slower but provide more grip. Harder wheels are better for smooth surfaces, such as skate parks and softer wheels are more suited to street skating. This is an important feature of wheel performance and refers to the area of the wheel that contact with the pavement. Why is it important? When you have a large contact patch, your weight is distributed over a larger area, reducing the compression of the material in your wheels and decreasing rolling resistance, which can slow down your wheel. The wheel shape can also affect the size of your contact patch. Rounded wheels make less contact with the pavement while square wheels allow more contact with the pavement.